No one disagrees with the notion that it’s hard to save money and stick to a budget, whether you’re an individual or a family unit. But sometimes, the reward in the long run can be worth a little bit of penny-pinching in the present, especially when it comes to your summer family vacation. Do you really want to let the kids down this June and tell them that the family can’t afford to take a few days and road trip together someplace interesting? You can avoid that unpleasant, disheartening scene with a little bit of planning–and not as many sacrifices as you might think. Don’t let the children see you mourn what you’re sacrificing; they will follow your lead and become embittered about the budget. Focus on the rewards – the fun you’ll have on vacation, or the good times you’ll have playing games as a family in the evenings instead of going to movies. Find short videos, articles or other information on the subject of budgeting before your family meeting and bring them along. It helps the kids understand that everyone has budgets and that saving money for the future is part of life. We won’t tell a fib and pretend that budgeting is always fun for kids, but it can be more fun for everyone with a few tricks to keep things interesting, depending on the age of your children. Use visible results and verbal praise. Younger children want tangible results and verbal praise. This can be achieved with a piggy bank (or soda bottle, or other way to keep track of loose bills from the laundry and change from cups) as well as simply letting the kids know how well they’re doing. If your child comes home with an extra dollar for the piggy that he didn’t spend on the snack machine at school, make sure you and your spouse praise his efforts and let him know that he’s contributing to the overall family goal. Teach that life is more than money. If your kids are teens, they want their lives to stay interesting and social even if they don’t have money to go out. Encourage them to invite a friend over for dinner and games, or let them join you on an outing they’ve always been curious about. Teach them to understand that life is more than just money and budgeting will become much easier. The practical part of cutting costs is where most people pause when it comes to budgets. How, exactly, will you save money on dinner or buying books and toys? If you just can’t downgrade to cheap orange juice, discover ways to save two dollars on your favorite brand. Even if you are more of the “click and print” type than the “scour the Sunday paper” type, you can save a dollar on favorite items with a coupon by visiting the right websites. Also useful are grocery store “membership cards.” If you aren’t a member of the store you frequent, you could be spending instead of saving on items. Have you and your family discovered secondhand shopping? If not, now is a good time to visit your local thrift stores and consignment shops for clothes, books, toys and other goods. Of course, a little treat now and then to reward the family’s progress is a great idea. Make it a ritual, weekly or monthly, to enjoy an outing if the family’s financial goals are met. You could even use the meetings to talk about vacation plans. Speaking of vacation plans, where will you go? There are plenty of affordable options for family vacations that don’t involve pricey airplane trips to Europe. With a little research, you can find interesting possibilities and seek your family’s input on what sounds like the most fun. Hit the library for travel guides. Your local library has plenty of books about nearby cities and parks. Check out a couple and brainstorm with your family. See what’s in driving distance. Flying is expensive and road trips are more fun for sight-seeing. Learn what neighboring cities, parks and landmarks are close to your family and worth a visit. Consider camping or renting an RV rather than staying at a hotel chain or a fancy condo, especially if you’re getting back to nature. It’s a great bonding experience for the family and saves money. 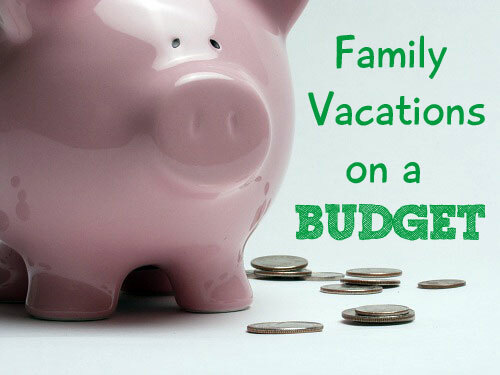 After the vacation ends, don’t just drop the budget! Keep the family’s spending habits on the right track. Once budgeting becomes a priority, it gets easier and easier. How have you found ways to save a buck here and there? Do you have any ideas how you’re going to use that money this summer? Leave a comment below and tell NTK about your money saving ideas! 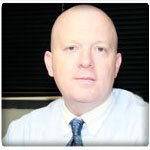 Joe Laing is the Marketing Director for El Monte RV Rentals, your nationwide source for RV rentals. El Monte RV also sells used motorhomes through eight different locations across the United States. For more information on purchasing a used motorhome see http://www.elmontervsales.com/.